by Bill Dwight on Friday, June 30, 2017 at 11:56 PM | LEAVE A COMMENT! In the FamZoo system, allowance is always delivered to kids from the primary funding card. There can only be one primary funding card in a family. 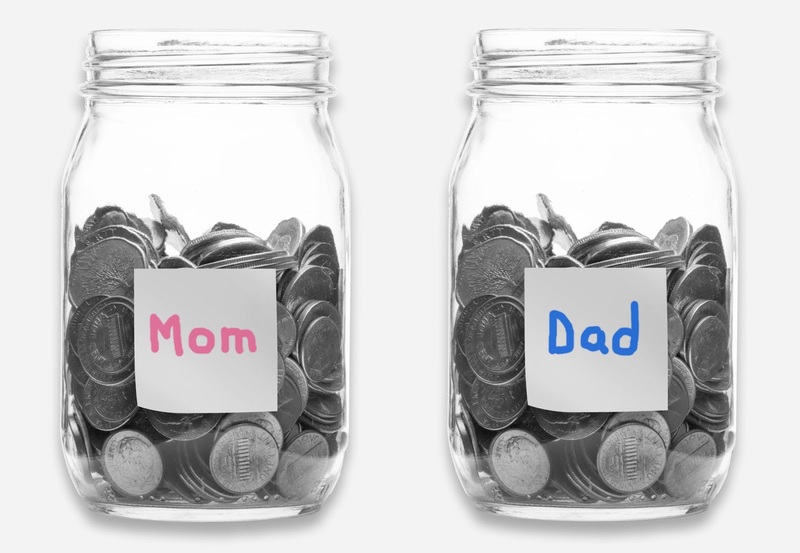 That poses a challenge for split family situations in which both parents want to provide separate allowance payments. Here’s a solution that uses Auto Debits to have one parent automatically pay back the other. Let’s say we have a family in which Mom holds the primary funding card and Dad has a separate parent card. Both of them load their cards independently. Here are the steps for setting up one allowance from Mom and another allowance from Dad. Either parent can follow these steps when signed into FamZoo in the parent role. Set up a Mom allowance. Create an allowance. Call it something like “Mom Allowance”. Set it to deliver monthly starting on the first of the month. Set the amount and allocations to the child’s card(s) to be as Mom desires. Set up a Dad allowance. Create another allowance. Call it something like “Dad Allowance”. Set it to deliver monthly starting on the 15th of the month. Set the amount and allocations to the child’s card(s) to be as Dad desires. Set up an automatic repayment. The Dad allowance will be delivered from the primary funding card owned by Mom. Therefore, Dad will need to repay Mom each time it is delivered. This can be automated by creating an auto debit on Dad’s card. Set the frequency, start date, and amount to match the Dad allowance settings from step 2. That way, each time Dad’s allowance is delivered from Mom’s card, a compensating charge (via the auto debit) will be automatically assessed to Dad’s card. The money collected for the charge to Dad flows to Mom’s card. Of course, you can adjust the frequencies used in the example above to match you family’s needs. Also note: if you use an age-based allowance formula, you’ll need to adjust the auto debit amount each time a birthday rolls around to make the repayment keep pace. Set up a chore checklist for Mom’s house. Call it something like “Mom’s Chores”. Follow the normal chore checklist instructions here. Set up a chore checklist for Dad’s house. Call it something like “Dad’s Chores”. Follow the same chore checklist instructions as for Mom, but for any checklist item delivering a reward, add an additional “penalty” entry that debits Dad’s card by the same amount. That will immediately compensate Mom for every chore payment she makes on behalf of Dad.